Arrhythmogenic cardiomyopathy (ACM) is an inherited genetic disease characterized by a progressive atrophy of the cardiac muscle, which is replaced by fibroadipose tissue, leading to clinical ventricular dysfunction and to the development of malignant cardiac arrhythmias. 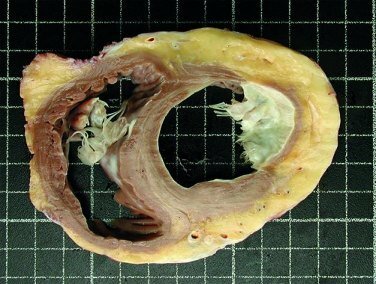 Although the disease has been traditionally known as right ventricular arrhythmogenic cardiomyopathy/dysplasia, there can be a concomitant or predominant compromise of the left ventricle. Clinical criteria have been defined for the disease, and the presence of a pathogenic mutation is one of them. Disease detection is important, since it is associated with a significant risk of sudden death, especially in young subjects. The prevalence of the disease is estimated in 1 in 5,000 individuals. The genetic test is indicated upon suspicion of the disease. It is part of the diagnostic criteria of the disease as well as an important tool for differential diagnosis. A correct diagnosis of the disease allows for appropriate risk stratification. In addition, the identification of certain types of mutations in some genes provides prognostic information. The test has a predictive value for the disease when a pathogenic mutation is found. It is very important for genetic counseling and useful for familial monitoring. It allows identifying the carriers at risk of developing the disease, who must follow appropriate clinical monitoring. It is worth noting that the disease has variable expressivity and penetration, with the presence of additional genetic and/or environmental factors being important in many cases. The probability of detecting a mutation probably causing the disease in a patient under suspicion of arrhythmogenic cardiomyopathy is variable, depending on factors such as geographic location. Generally it is around 50%-60%. It is common to find more than one probably pathogenic mutation.